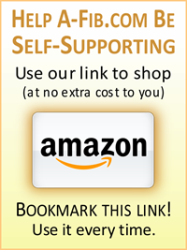 We value the information these sites offer or share. 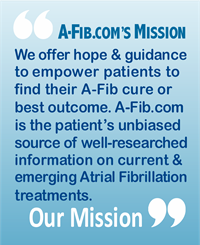 Our selection of online websites may be useful as you continue your education and expand your knowledge of Atrial Fibrillation. 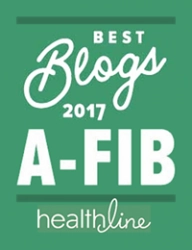 Besides links to recommended online sources, we’ve included our own A-Fib.com-sponsored resources: our carefully screened library of instructional videos and animations designed for those who learn visually; the most up-to-date A-Fib-related books and reports, and our shopping guides to help you select from the several categories of A-Fib-related products of interest to A-Fib patients and their families. 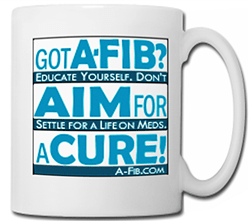 And finally we offer you help through our own A-Fib Support Volunteers and Positive Thoughts/Prayer groups. Our volunteers are from all parts of the world. 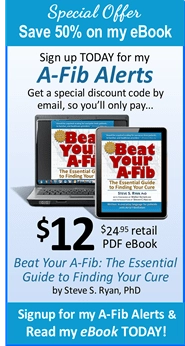 Each has A-Fib or is a former A-Fib patient who found their A-Fib cure or best outcome. 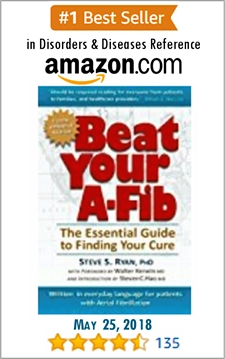 Inforgraphic: What's on My A-Fib Bookshelf?